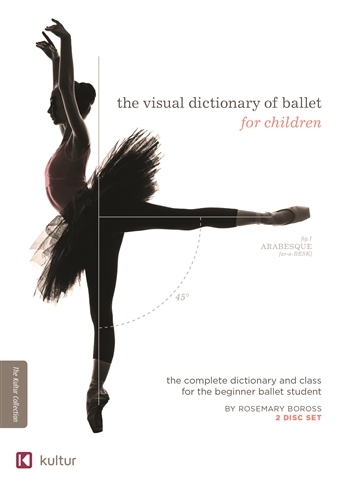 This two disc DVD set contains a complete visual dictionary and class for the beginner ballet student. It is an invaluable training tool for the student just beginning ballet, as well as a reference guide that can be used for years to come. It includes the definitions of terminology, basic technique, movements and steps the beginner student will need to know. Detailed visual instruction on how to execute all of the movements, positions and steps. The class is performed at 2 levels for beginner and advanced beginner student. As the class is taught, to help familiarize and reinforce, the terminology of the movements and steps are recited in the ballet class. Includes 2 DVDs in this set! is broken down into 4 Chapters.